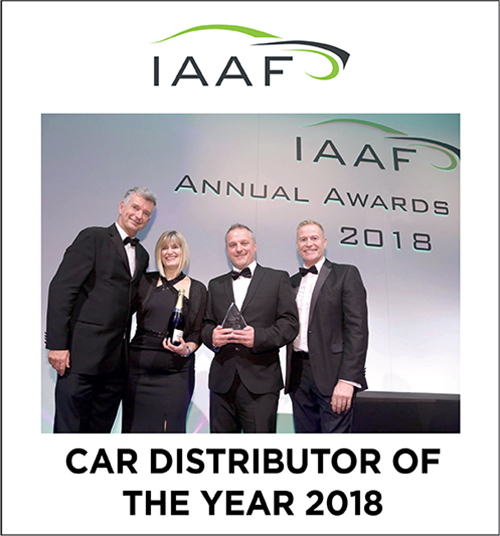 We are thrilled and very proud to announce that we were awarded the Independent Automotive Aftermarket Federation (IAAF) ‘Car Distributor of the Year’ 2018 at their annual awards ceremony on December 6th. To have been nominated and recognised nationally for this prestigious industry award in our 50th anniversary year was a huge honour. To have won it is the icing on the cake to a truly fantastic year and is testament to our commitment to be the best! Other nominees included much larger companies with nationwide coverage, so it is even more of an achievement to have won. The IAAF provide a respected and vital function promoting and striving to secure the future of the independent automotive aftermarket. They represent the entire automotive aftermarket chain, comprising manufacturers, suppliers, warehouse distributors, buying groups, motor factors and independent garages.